For other people with the same name, see Robert Hunter (disambiguation). Hunter was born Robert Burns in Oceano, California. In a 1973 Rolling Stone profile of the Grateful Dead, Charles Perry reported that he is a great-great grandson of noted Romantic poet Robert Burns. An early friend of Jerry Garcia, they played together in bluegrass bands (such as the Tub Thumpers) in the early sixties, with Hunter on mandolin and upright bass. Around 1962, Hunter was an early volunteer test subject (along with Ken Kesey) for psychedelic chemicals at Stanford University's research covertly sponsored by the CIA in their MKULTRA program. He was paid to take LSD, psilocybin, and mescaline and report on his experiences, which were creatively formative for him: "Sit back picture yourself swooping up a shell of purple with foam crests of crystal drops soft nigh they fall unto the sea of morning creep-very-softly mist...and then sort of cascade tinkley-bell like (must I take you by the hand, every so slowly type) and then conglomerate suddenly into a peal of silver vibrant uncomprehendingly, blood singingly, joyously resoundingbells....By my faith if this be insanity, then for the love of God permit me to remain insane." The first lyrics he wrote for the Grateful Dead were composed while on LSD, and mailed to the band from Arizona: a suite that would later become "China Cat Sunflower"/"The Eleven" (these were performed together for a short time). "China Cat Sunflower" would later find a partner in "I Know You Rider". After battling moderate drug addiction, he joined the Grateful Dead on the first weekend in September 1967, at four gigs in Rio Nido, California. That weekend he wrote the first verse of "Dark Star". Hunter's relationship with the band grew until he was officially a non-performing band member. When the band was inducted into the Rock and Roll Hall of Fame in 1994, Hunter was included as a band member, the only non-performer ever so honored. The majority of the Grateful Dead's original songs are Hunter/Garcia collaborations, with music by Garcia and lyrics by Hunter. Garcia once described Hunter as "the band member who doesn't come out on stage with us." 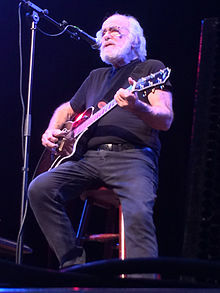 Hunter also collaborated as a lyricist with the other members of the Dead, Bob Weir, Phil Lesh, and Ron "Pigpen" McKernan, although over time Weir, the other principal songwriter besides Garcia, switched to using John Perry Barlow as a lyricist. Hunter called 1970's "Friend of the Devil" the closest he and Garcia came to writing a classic song. (John Dawson co-wrote the music.) Hunter's best-known line is probably What a long, strange trip it's been, from that year's "Truckin'". In 1974, Hunter released the solo album Tales of the Great Rum Runners featuring himself as a singer songwriter. It was followed the next year by Tiger Rose. Neither attracted a large audience. Another of his solo efforts is the extremely rare recording Jack O' Roses, containing the extended version of "Terrapin Station Suite" (without "At A Siding", to which Hunter did not contribute) and a solo rendition of "Friend of the Devil". In 1983, Hunter convinced Relix magazine founder, Les Kippel, to start a record company. Hunter wanted an American outlet for his new project Jack O'Roses. Hunter has collaborated with Bob Dylan on several occasions; he co-wrote two songs on Dylan's 1988 album Down in the Groove, all but one of the songs on Dylan's 2009 album Together Through Life, and "Duquesne Whistle" from Dylan's 2012 album Tempest. Since the dissolution of the Grateful Dead in 1995 Hunter has successfully continued his writing career, working on new songs with Jim Lauderdale, Greg Anton, Steve Kimock, David Nelson, Pete Sears, and Rob Barraco, among others. He also is seen occasionally playing solo acoustic guitar and performing his classic works, as well as newer songs. In 2004 he opened most of the Dead's summer tour. He also co-wrote, with Nelson, many of the songs on the 2009 New Riders of the Purple Sage album Where I Come From. Mike Ragogna: "Cyclone" gets more philosophical, especially with lines like, "I've got no answers of my own, and none have been provided." Bruce Hornsby: You know those are Robert Hunter's lyrics with a couple of additions from me. Bruce Hornsby commented on his work for Levitate ("Cyclone") at Express Night Out website (a Washington Post Company): "Well, I've always loved [Robert Hunter's] writing. I've loved so many of the Garcia/Hunter songs. They're just timeless sounding to me, could have been written hundreds of years ago. I had this song that had the same feeling as, say, 'Brokedown Palace'." In 2010 Hunter co-wrote Patchwork River with Jim Lauderdale. The album was released on the Thirty Tigers Label. 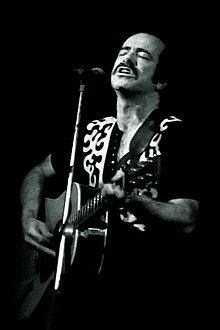 Also in 2010 Robert Hunter co-wrote the song "All My Bridges Burning" with Cesar Rosas for Los Lobos' album Tin Can Trust. In 2010, Hunter also wrote lyrics for 7 Walkers' debut album including "Louisiana Rain," "Chingo," and "Sue From Bogalusa." In 2012 Hunter co-wrote lyrics for the Mickey Hart Band's albums, Mysterium Tremendum and the follow-up, Superorganism. In an interview with American Songwriter, Hart categorizes Hunter's lyrics compared to other great lyricists saying, "When you're in a situation in the future and you can't explain it, very often a Hunter line or two or three will explain something that's unexplainable." Also in 2012, Hunter co-wrote four songs on Little Feat's album Rooster Rag. In 2013, Hunter announced a tour to commence in the fall. Also in 2013, he received the Lifetime Achievement Award from the Americana Music Association. He then proceeded to perform "Ripple". The award was presented by Jim Lauderdale. In 2015, Hunter and Garcia were inducted into the Songwriter's Hall of Fame. Hunter accepted the award along with Garcia's daughter, Trixie Garcia, accepting on behalf of her father. Hunter then performed "Ripple" from the Grateful Dead's album American Beauty. Hunter was once a member of the Church of Scientology, but no longer belongs to the organization. Hunter published translations of Rainer Maria Rilke's Duino Elegies and the Sonnets to Orpheus and has published several volumes of his own poetry. ^ Browne, David (March 9, 2015). "Robert Hunter on Grateful Dead's Early Days, Wild Tours, 'Sacred' Songs", Rolling Stone. Retrieved March 11, 2015. ^ Browne, David (March 11, 2015). "Grateful Dead's Robert Hunter on Jerry's Final Days: 'We Were Brothers'", Rolling Stone. Retrieved March 11, 2015. ^ Perry, Charles (November 22, 1973). "A New Life for the Dead: Grateful Dead Handle Their Business". Rolling Stone. ^ McNally, Dennis (2002). A Long Strange Trip: The Inside History of the Grateful Dead. Broadway Books. p. 42. ISBN 0-7679-1186-5. ^ McNally. A Long Strange Trip. pp. 42–43. ^ "Rock and Roll Hall of Fame". Rockhall.com. Retrieved September 19, 2014. ^ "The Annotated "Friend of the Devil"". Artsites.ucsc.edu. Retrieved September 19, 2014. ^ Greene, Andy (April 15, 2009). "Bob Dylan Rep Confirms Robert Hunter Co-Wrote 'Together Through Life' Lyrics". Rolling Stone. Retrieved 2009-04-15. ^ Ragogna, Mike (November 14, 2009). "HuffPost Exclusives: R.E.M. and Cory Chisel, Plus Bruce Hornsby Interview, Big Star Box, Paolo Nutini Live, This Week's New Albums, and more..." The Huffington Post. Retrieved June 25, 2011. ^ "Liner Notes: Bruce Hornsby, Levitate 9/14/2009". Express Night Out website (a Washington Post Company). Archived from the original on September 16, 2009. Retrieved June 25, 2011. ^ Verity, Michael (May 18, 2012). "Good Vibrations: A Q&A with Mickey Hart". American Songwriter. Retrieved May 31, 2012. ^ "Robert Hunter Announces Fall Tour". JamBase.com. June 18, 2013. ^ Robert Hunter (April 25, 2014). "Robert Hunter - 2013 Americana Music Honors & Awards - Ryman Auditorium, Nashville, TN". YouTube. Retrieved September 30, 2018. ^ "Robert Hunter Honored With Lifetime Achievement Award". Dead.net. ^ McNally, Dennis (June 18, 2015). "Songwriters Hall of Fame Honors Hunter and Garcia, Tuneful Wizards of the Grateful Dead". The Daily Beast. ^ SongwriterHallofFame (July 16, 2015). "Robert Hunter & Theresa Garcia's 2015 Acceptance Speech". YouTube. Retrieved September 30, 2018. ^ David Allen (June 19, 2015). "Robert Hunter & Jerry Garcia Honored - RIPPLE! - Songwriters Hall Of Fame - Video By David Allen". YouTube. Retrieved September 30, 2018. ^ Jackson, Blair (1999). Garcia: An American Life. Viking Adult. pp. 62, 179. ISBN 0-670-88660-2. ^ "Standing in the Soul – Robert Hunter Interview". University of California Santa Cruz. Archived from the original on February 28, 2009. Retrieved 2009-04-13. ^ "Jerry Garcia Band, "Ruben And Cherise" « American Songwriter". Americansongwriter.com. May 23, 2016. Retrieved September 30, 2018. Hunter, Robert. A Box of Rain. Penguin Books, 1993. ISBN 0-14-013451-4. The complete lyrics of Robert Hunter to date. McNally, Dennis. A Long Strange Trip: The Inside History of the Grateful Dead. Broadway Books, 2002. ISBN 0-7679-1186-5. The Grateful Dead Family Discography (Located at http://www.deaddisc.com/GDFD_RHPerformer.htm).